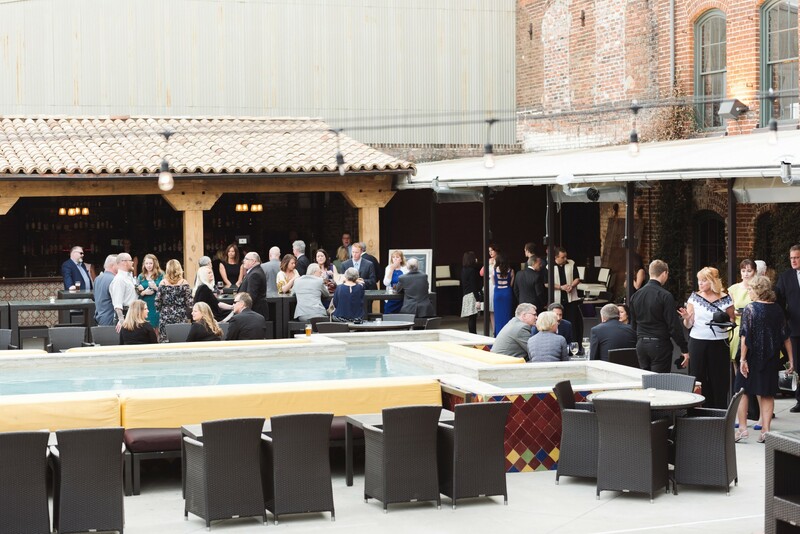 Located on the third floor of Mulino Italian Kitchen & Bar is one of Umbria Hospitality’s two wedding venues – Melrose Knitting Mill. 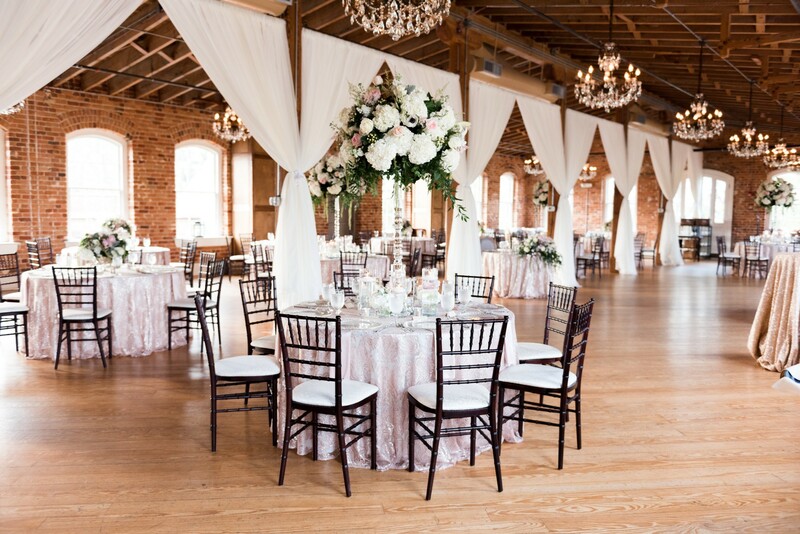 Whether you live locally or are considering Downtown Raleigh as a destination for your wedding or social event, Melrose Knitting Mill is the elegant spot you have been looking for. We are proud to be the exclusive food vendor for Melrose Knitting Mill. The building we call home was originally built in 1900. 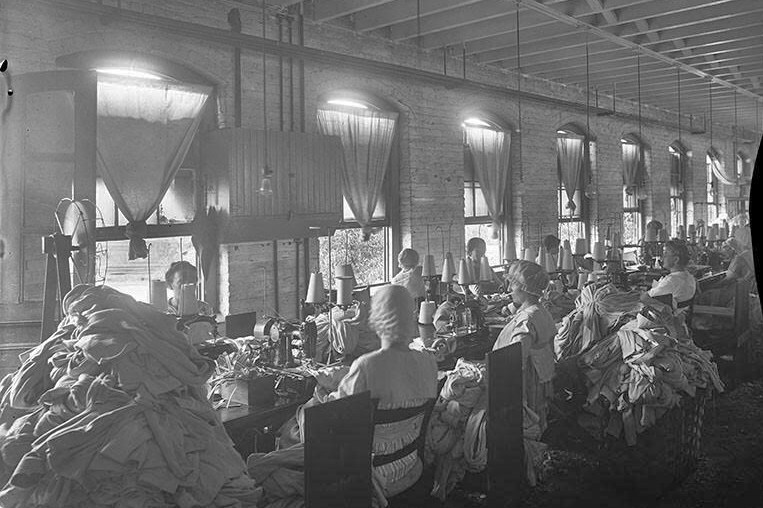 Melrose Textile Mill, which manufactured underpants and bathing suits, served as the building’s only resident until 1930, but like many mills and factories, it closed for good just a year after the stock market crash of “Black Tuesday”. Until 2009, the building sat vacant, except for occasional short-term tenants – like a roofing company in the 1960’s – which led the space to its fortuitous introduction to Abdul Zalal in 1969. A recent Afghani immigrant, Zalal began working at the roofing company and just before 1980 he purchased the mill. Zalal installed a new roof, boarded up the windows, and left the property vacant for several years until current operator and creative director Samad Hachby approached him with a vision for creating a destination dining property on the ground floor. Fast forward to 2009, then Hachby opened then Babylon Restaurant, a Moroccan dining concept, which served as one of Downtown Raleigh’s most vibrant evening and weekend destinations until the restaurant was re-imagined to the Italian eatery it is today. In 2014, Hachby aimed his creative pursuits even higher (quite literally) and renovated the third-story space to accommodate the larger weddings, special events, and parties that his restaurant was being sought after to host. Today, the Historic Melrose Knitting Mill sits perched high atop 309 N. Dawson Street welcoming guests to a true destination within the heart of the city. Visit MelroseKnittingMillRaleigh.com to learn more about the venue and to schedule a tour.